Recently I was asked how Kenneth and I started Winey Neighbor in Prospect Heights Brooklyn. 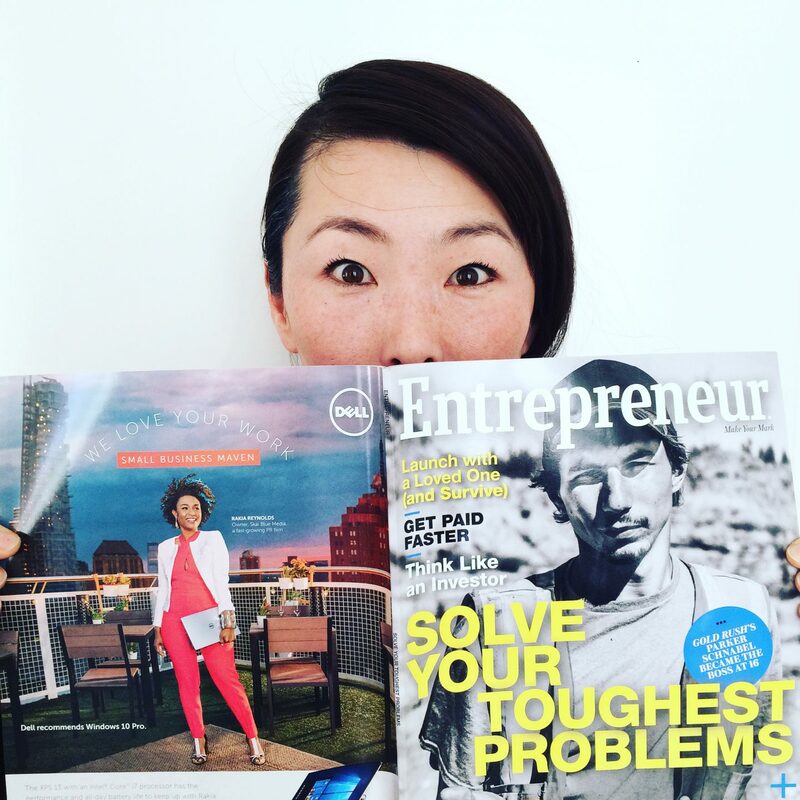 I was flattered that Entrepreneur Magazine would ask for my opinion about starting a small business. A short blurb made it into the article but not everything, so if you like a more in-depth Q & A I’d like to share that with you in this post. As some people might be interested in how to go about starting a small business/wine store, I hope this might help other budding entrepreneurs. If anyone has questions or comments, feel free to reach out. >> We want this article to function as a sort of “reality check” for would-be wine shop owners. Not to discourage them, but just to make sure they’re aware of both the pros and cons of starting this type of retail operation. What were your two or three biggest obstacles in setting up your business and how did you overcome them? Brutal honesty is encouraged! The biggest obstacle is finding the right location. The New York State Liquor Authority will not issue new licenses if the area is already over-saturated. Before I signed my lease, we were considering multiple locations, from Manhattan LES to Brooklyn Williamsburg. For one reason or another those sites didn’t work out, and I almost gave up on the whole endeavor until my husband Kenneth suggested an empty storefront just one short block from our home. Prospect Heights was very different six years ago, and no one thought a boutique wine store would be a good fit for the location. But we took a gamble, believing that there was a small market for specialized wines, competitive prices, and excellent customer service. Making that decision was a huge step because once we committed to the location, there was no turning back. We were able to take the risk largely due to the fact that I had been laid off due to the recession and was receiving assistance from the Self-Employment Assistance Program (SEAP). SEAP allowed me to work full-time on my new business while collecting unemployment benefits, but the benefits ran out after 26 weeks. That was the pivotal point in my life where I felt like it was sink or swim. The second biggest hurdle was signing a lease without the guarantee of obtaining a liquor license. In New York, one must have a signed contract before applying for a liquor license, which means that you can be sitting on a rental lease for good 3-12 months, sometimes more, waiting to get approved. Often, applicants renovate an entire store after signing a contract and then NYSLA doesn’t approve their license; they can lose all their startup capital in an instant. The waiting game nearly killed me. We didn’t fix up the space completely because we didn’t want to risk additional capital in case we didn’t get the liquor license. >> What would you estimate the start-up costs and monthly operating expenses to be for this type of business? Any big financial surprises when it came to getting the company off the ground? I know that depending on one’s state of operation, wine sales use a C.O.D. system. Did this impact your financial planning? That is a tricky question. When we started, we had small startup capital to work with and costs kept adding up even after we opened up shop. I’ve heard that the start-up costs of an average wine store can range anywhere from $150,000 to $500,000 – it all depends on the rent and the location, how large space is, and how much initial inventory you want to bring in. Our start-up costs were bare-minimum; besides the lawyers, electricians, and some general contractors, Kenneth and I did a lot of the dirty work ourselves. Knocking down walls, painting, sanding the floor, building the sales counter, getting our Certificate of Occupancy, tracking down distributors – we did it all. The minimum startup cost for an operation similar to our store is most likely $150,000, but I bet that’s a very small estimation. As for the C.O.D, in New York state we have a 30-day term, meaning you have 30 days after delivery to pay your bills. If the invoices aren’t paid off within 30 days, NYSLA will put you on C.O.D. (cash on delivery). We played it safe, ordering very minimally and relying on our wonderful customers to give us feedback on the wines to carry. >> Any tips or advice when it comes to choosing a location, negotiating a lease, or obtaining a retail liquor license? And are there multiple licenses (tasting license, premises consumption license, Sunday sales license, etc.) people need to obtain based on their location? Think of 3 sites/areas where you would like to set up shop, then find the demographics simply by doing some google searching. But most importantly, walk. Go to the areas that you are interested in, and simply walk around the area, talk with other business owners, talk to the people living in the neighborhood. Lastly, make sure that there aren’t other similar stores near your dream location. As for negotiating the lease, New York landlords have the upper hand in most cases, and mostly you’ll be the one doing the renovations. So make sure you have a lawyer read your lease —don’t go cheap on this one — have a professional fighting for you and your rights. >> What advice do you have for setting up inventory? Is it better to invest in lower- and mid-priced bottles or to build up a good selection of high-end vintages? What about the split between imports and domestics? Do you have to meet certain order minimums in order to get price breaks from distributors? I read somewhere that some wholesale reps won’t sell certain wines to boutique shops unless they also “support” their other products. Have you run into this issue, and if so, how did you handle it? It took us a long time to set up a proper rotation of wines, and it’ll always be changing. Most of our inventory is from lower to mid range, and we take pride in finding the best value for our customers while not sacrificing quality. With this said every store is different; others might have higher-end wines, and that might work great for them. You just don’t know until you get feedback from your customers. >> What kind of a margin does a specialty wine shop have to make every week or month to survive? Is it annoying when shoppers routinely come in and buy the $10 bottles, as opposed to splurging on finer wines? Many people don’t know this, but the margins are slim. For wines the margins are about 33% and for spirits about 21%-25%, depending on the store. As I mentioned before we focus on lesser known wines that are fantastically priced. I honestly believe that every customer should be treated the same, regardless what they spend. We are happy when a customer spends $10 or $50 on a bottle; this is our motto. >> How important is storage for extra inventory? Is it challenging to balance the assortment you want with the quantities you need? The big discount/chain stores will always have better deals than boutique stores like ours. It’s not uncommon for us to buy just six bottles of any given wine. That’s why we try our best to bring in smaller production and unique wines from all over the world. However there are times when we have wines that are also carried in bigger stores, and yes it is hard to compete with them. Just think about Trader Joes — it has a huge budget and a storage space that is multiple times bigger than our entire store. Our space is about 500 square feet total, including storage, so you can understand my frustration when a customer comes in and asks why our wines are more expensive compared to a grocery store. These are very real things that a new wine store owner has to think about when opening up a store. >> Some bottle shop owners sell online; others focus exclusively on the local market. What is your strategy and why? Generally speaking, how important is the internet and social media to your business? We’re a neighborhood shop, but there have been times when we’ve contemplated having an online store. But speaking as a business owner who runs and works at a physical store, I think it’s smart to focus on one or the other. Setting up an online store is not easy; you need a designer, a programmer, and someone to track inventory. Some websites have all those functions now, but the cost is significant. And in my opinion, they still have lots of bugs to work out. If your budget is big and you plan to have employees, then there is tremendous potential for an online store. For us, we like being mom and pop shop. Both my husband and I work at the store; we know most of our customers, and we consider them friends. That’s what we love about the business, and it works for us. >> How important is it to have a sommelier-level knowledge of wine, as opposed to a hobbyist’s interest? Are there certain books or other tutorials you’d recommend to someone who didn’t have any formal training but wanted to get into this field? To be very honest, I’ve never gotten my sommelier certificate. But we have a passion for wine, with an eagerness to learn. I believe if you want to become a master sommelier, you would be better suited to the restaurant industry, where you can really surround yourself in wine. In contrast, a wine store merchant has to focus on costs, bills, inventory, and marketing on a daily basis; this is the reality of being a small business owner. >> Other than a core customer base, what are the most important relationships a would-be bottle shop owner needs to establish? Our favorite part of the day is chatting with our customers. It really gives us a sense of pride in the work that we do, and I think this is also true in working with our sales reps. It’s vital to work well with your reps because they’ll help you figure out what can work in the store. We work with well over 30 distributors, which means lots of tasting between us and the reps. This part of the job is one of my favorite perks, which also allows us a chance to learn more about wines. >> What is one of the biggest mistakes you think new bottle shop owners make when getting their business off the ground? This can be a misstep you yourself made and learned from, or just something you’ve noticed others stumbling across. For us, we put customers first. Our goal, besides carrying great wines, is to have the best customer service. It’s a simple idea, but treating others how you would like to be treated can sometimes be forgotten when you’re dealing with the nitty-gritty details of running a business. But I guarantee your customers will not forget. Social media is a great to way to spread great or poor reviews. Everyone knows Yelp, Facebook, Snapchat, Twitter, etc… you get the picture. we’ll have to think of something for next year!